For facial cosmetic surgery, contact Dr. Hodgkingson. Dr Hodgkingson has over 30 years of experience, so you can trust in your facial treatments or facial surgery. 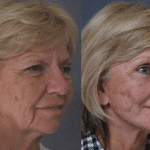 Rejuvenation surgery is for the 40 and over set. This type of surgery includes procedures such as mini face lift, brow lift, neck lift or eyelid surgery to restore the youthful contours to the face. These surgical procedures can also be performed in combination with each other to create an all over natural balanced result. This is known as pan-facial rejuvenation. The second major type of facial surgery is corrective facial plastic surgery to correct facial features that may not be in balance with the face such as surgery for the nose and ears. These procedures are usually performed at a younger age; the ears can be corrected anytime from age 6. 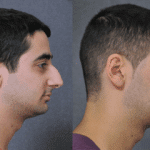 Rhinoplasty may generally be performed from ages 16-18 and upwards although, many older patients do present for whom nose or ear surgery was not a viable option in their younger years. 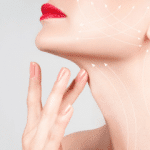 Another type of facial cosmetic surgery is surgery to refine the skin. This includes skin resurfacing via laserbrasion, dermabrasion or chemical skin peels. This facial treatment spans all age groups as it is used to improve skin in the young that may require improvement from acne scarring, heavy freckling or spotting. In the older patient, it is also used commonly for fine lines that women develop around their lips or around the eyes. The most important decision that a patient will make in deciding to have facial cosmetic surgery is who their surgeon will be. The quality of the result is dependent firstly on the expertise of the surgeon but also includes the patient’s tissues, lifestyle and adherence to pre & post-operative instructions. Dr Hodgkinson is an expert at facial cosmetic surgery with over 30 years of experience. Email or call now to make an appointment to visit him at his purpose built clinic and licensed and accredited plastic surgery day surgery centre in Double Bay, Sydney.